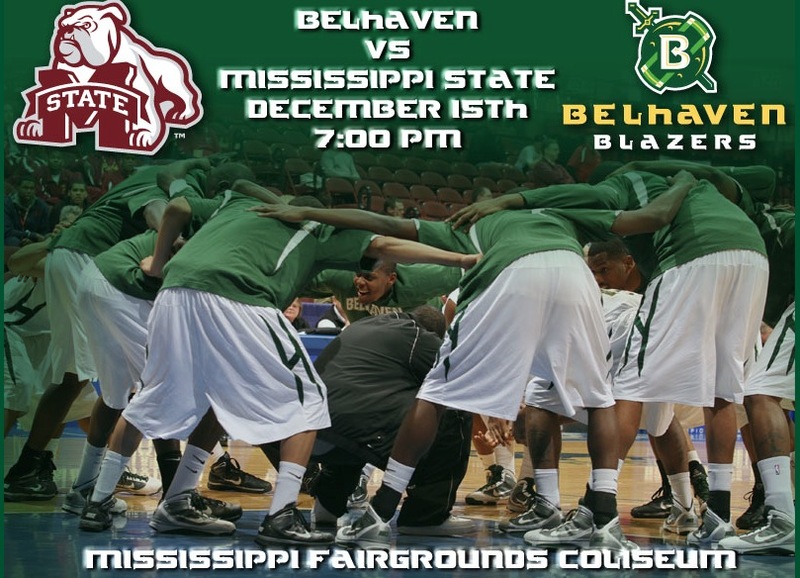 Sunday afternoon will be filled with Christmas music at Belhaven. The Concert Choir, Chorale, soloists, and small ensembles will present Mary Had a Baby, a concert of sacred Christmas works, under the direction of Dr. Christopher Shelt. Though Belhaven has the Singing Christmas Tree every year, this is our first Christmas concert. Come enjoy a panorama of worshipful Christmas carols, classics, and spirituals arranged by John Cheetham, Gustav Holst, Ralph Vaughan Williams, Robert Shaw/Alice Parker, and John Rutter. The concert is Sunday, December 5 at 2:30 pm in the Concert Hall. Complimentary admission. 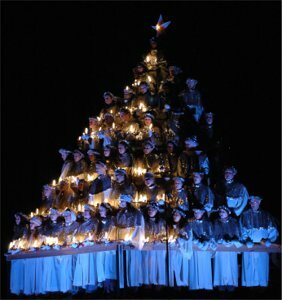 Friday and Saturday evenings this week we will present our 78th annual Singing Christmas Tree. Since 1933, Belhaven students have formed the shape of a tree to sing carols and celebrate the advent of Christmas. This event is directed by Carolyn Sachs….assistant directors are our maintenance technicians who make the structure, lights, and sound all work together. We are the home of the original Singing Christmas Tree and we are one of North America’s oldest annual outdoor concerts. Bring your blankets or lawn chairs. Begins at 7:30 p.m. each night in the Belhaven bowl. Belhaven Soccer is back on the national stage. It has been a remarkable season. A tough loss tonight in the round of 16 for the national title, falling to University of Mobile 4-3 in a game with the tournament host team, who received an automatic bye for the first round of play. Our team is back among the elite teams of the national soccer scene, and under the direction of Coach DeCou, we are likely to stay there for a long time to come. Orange Beach, AL-The Belhaven men’s soccer team saw the 2010 season come to a close Tuesday night losing 4-3 to the University of Mobile in the round of 16 at the 2010 NAIA Men’s Soccer National Championship. The Blazers, seeded eighth overall, met up with the Rams in the regular season as both teams battled to a 1-1 double overtime tie back on October 6th. Unlike the first meeting, offense was the name of the game on Tuesday night and unfortunately it was Mobile who had the most firepower. Belhaven fell behind early 1-0 to Mobile (16-3-2) following a goal by Deshorn Brown, but the Blazers battled back to take a 2-1 lead with two straight goals mid way through the first period. The first score came off the foot of Achille Campion in the 20th minute knotting the score at 1-1. Luke Blincow got the assist on Campion’s fourth goal of the 2010 season. Guilherme Brandao then gave the Blazers their only lead of the match with his 13th score of the season in the 26th minute. Once again, it was Blincow who set up the shot with a long pass down the field and then Brandao beat goalkeeper Jason Williams to the ball and slammed the ball into the back of the net to make it 2-1. In the second half, Ruben Diaz took over for Mobile and put the Rams ahead for good with two goals in the span of just under two minutes. In the 72nd minute, Diaz snuck one past Blazer goalie Gautier Troch off a corner kick and then Stephen Okai set up the second Diaz goal in the 73rd minute which made the score 4-2 at the time and proved to be the game winner. Belhaven tried to mount a rally in the 78th minute off a goal from Alex Rodriguez on a free kick, but Mobile played keep away for the rest of the match and advances to the elite eight with the win. The Belhaven offense was led by Brandao, Campion, and Rodriguez who all posted two shots and one goal each. The goal by Rodriguez was his fifth of the year and the two assists for Blincow give him a season total of three. Brandao’s 13 goals and 34 points were both team highs in 2010. Troch suffered just his second loss of the season in net allowing all four goals with five saves in 90 minutes of work dropping his record to 16-2-3. Mobile was led by Diaz and Deshorn Brown who each had seven shots and two goals. Okai had a pair of assists and Dillon assisted on another Ram score Tuesday evening. Williams earned the win in net allowing three goals while making two saves. Mobile owned a huge shot advantage outgunning the Blazers in total shots 23-11. The Rams also had a 5-0 edge in corner kicks. Mobile moves on to face Bethel University (TN) Wednesday night who upset top-seeded Rio Grande 2-1 on Monday. Belhaven ends the season with a 16-2-3 overall record losing for just the second time in 2010. Belhaven’s only other setback came in a 2-0 decision against Barry University who was ranked 21st in NCAA Division II at the time of the match. The Blazers posted a 1-1 record in their seventh overall appearance in the 2010 NAIA National Championship tournament.